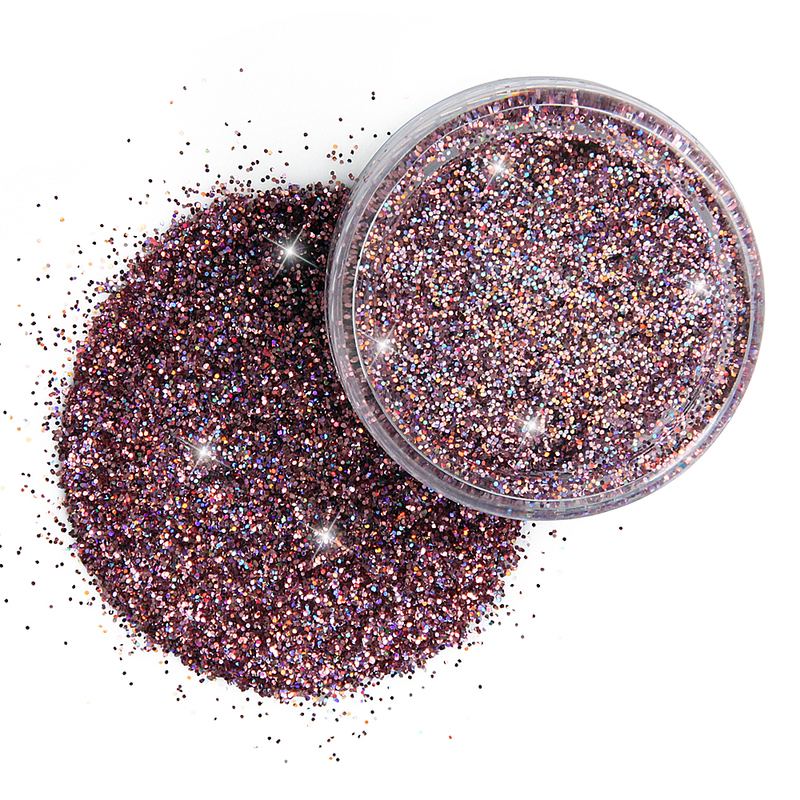 This Season’s Standout Trend for Glitter Make Up is perfect for a Girl’s Night Out, Hen Do, Senior Prom, Club Night, Beach Party, or any Exclusive Event that requires a touch of sparkle and shine! 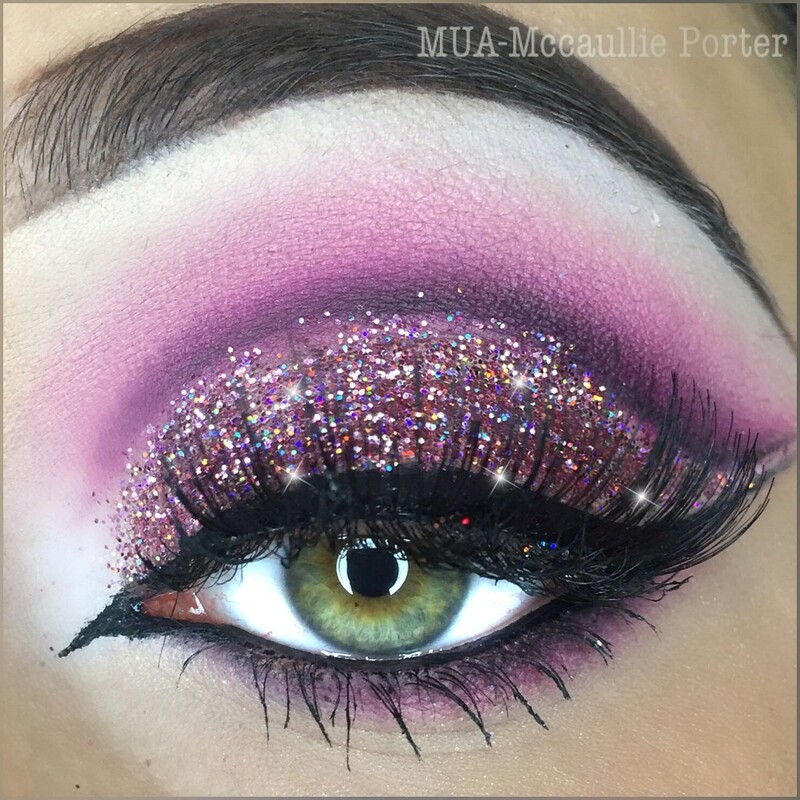 Fans of Glitter Makeup include Lady Gaga, Katy Perry, Rita Ora, Kesha and Rihanna, it has also been seen on the catwalks of Just Cavalli, Burberry, Dior and Jenny Packham, and worn by fashion models Gigi Hadid and Cara Delevingne. 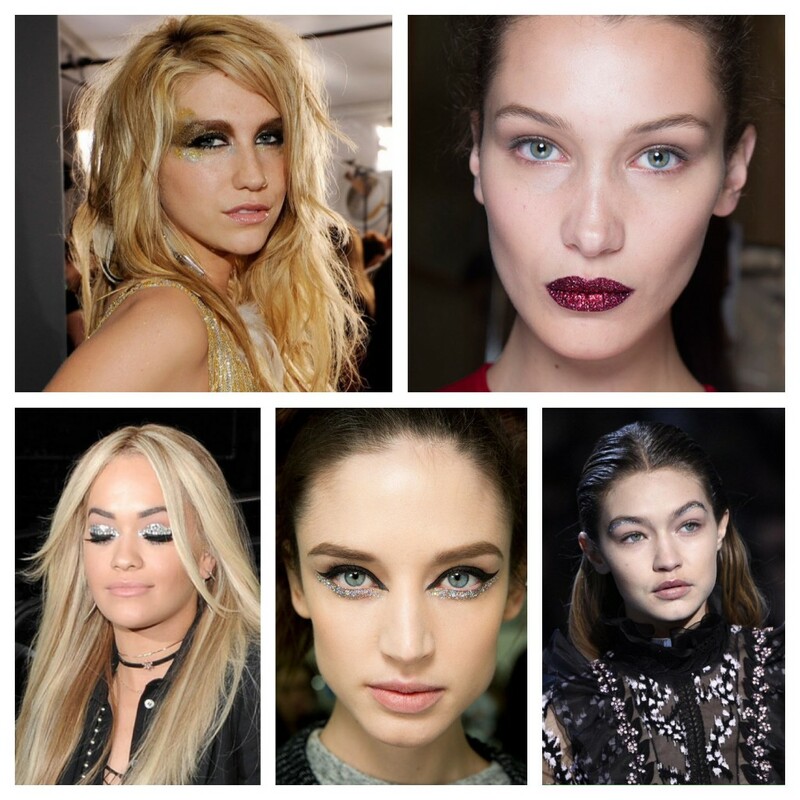 A re-emerging makeup trend that early signs suggest will continue into AW16. 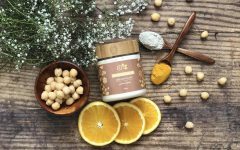 Fancy trying it for yourself? For instant, grown up glamour try a light dusting of glitter on the eyelid over eyeshadow and add a black smoky eyeliner for a classy evening look. For a distinctive pop of colour, glitter lips are guaranteed to get you noticed, pair with lashings of mascara and a little black dress! You can also apply glitter makeup to your cheekbones, eyebrows, lower eyelids, body and hair (the glitter blow dry)! 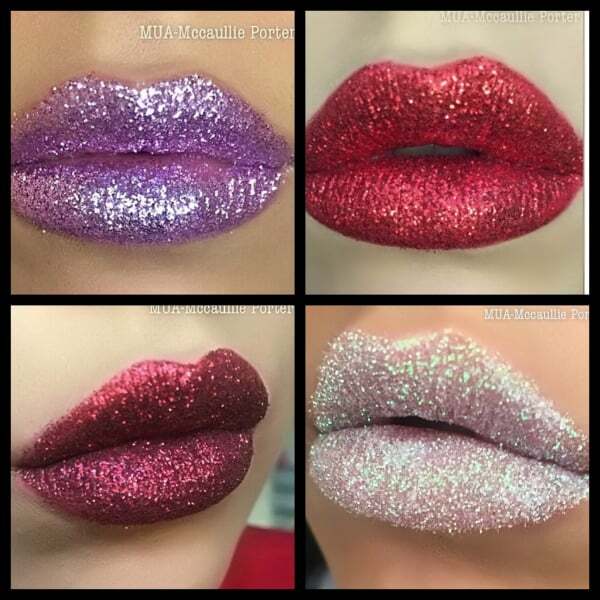 There are no rules with glitter, you can experiment with new looks, bright colours and have fun with it. 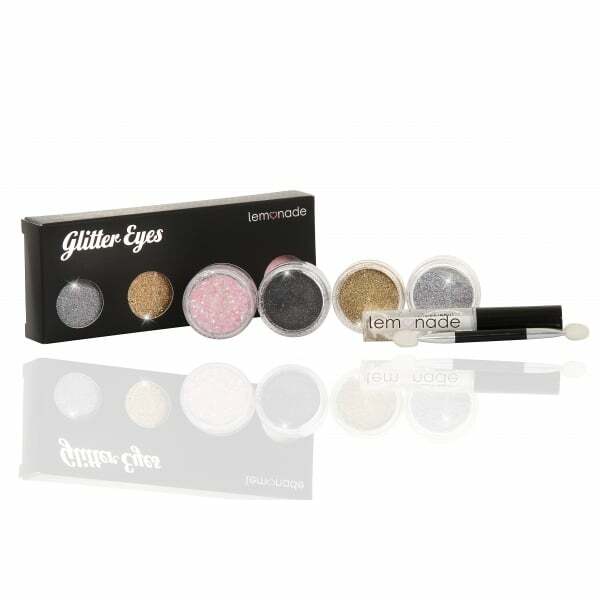 We recommend trying the Glitter Eyes Set of 4 from Lemonade which includes 4 gorgeously wearable shades of glitter for any ocassion, we particularly love the blush shade, which looks stunning against bronzed skin, perfect for summer! Application is easy, simply apply the gel, which comes in the box, and than dab on the glitter, building up as much or as little as required to achieve the desired effect. For the perfect glittery pout there’s Lemonade’s Pretty in Pink Glitter Lips Set of 4 which includes 4 different colour glitter pots, fixing gloss and applicator. Our favourite shades are Blushed Rose and Lilac Kisses. It couldn’t be easier to achieve this dazzling, show-stopping look, simply apply the fixing gloss onto your lips, then using the applicator dab on the glitter, it fixes instantly and lasts for an incredible 12 hours! Eat, drink and party the night away with your dazzling makeup remaining firmly in place! Amazing staying power, that simply will not budge! As well as their fabulous collection of Glitter Make Up, Lemonade also offer Jewellery, Hair Accessories, Clutch Bags, Footwear, Sunglasses and Phone Cases, all adorned with crystals, seriously stylish bling-bling!